Well…I’ve owned quite the many Semi-Auto’s in the past few years and they’ve all had their shortcomings so I decided to go for the more traditional bolt action. I had the Ruger Precision Rifle on order for quite a while, but you greedy Murican’s are hogging them all and being a man of great patience, I got sick of waiting and decided to go for another rifle. 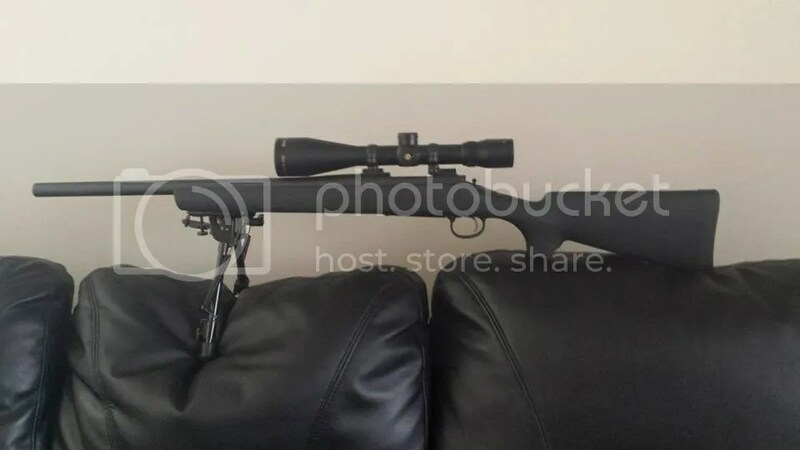 I wanted to get a good rifle at a reasonable price….and I managed to achieve it. I settled with the Remmington 700 Tactical .308. I’ve only been for one shoot, but I’m really happy with the results so far. This was at 100m, group sizes are under an inch. I need to bring it right an inch or so, but I’m heading out to the range today so I’ll see if I can get it spot on. Ammo was 150gr softpoints, a variety of brands. So far the only thing I dislike about the rifle is the bolt knob is too small. I’ve put it into the shop to get a larger one put on as it sits too close to the scope at present. Shot well at the range the other day. Shooting out to 300m with S&B 150gr. I was using holdover and hitting dead centre. I’m in the process of learning how to use the scope adjustments at different ranges. 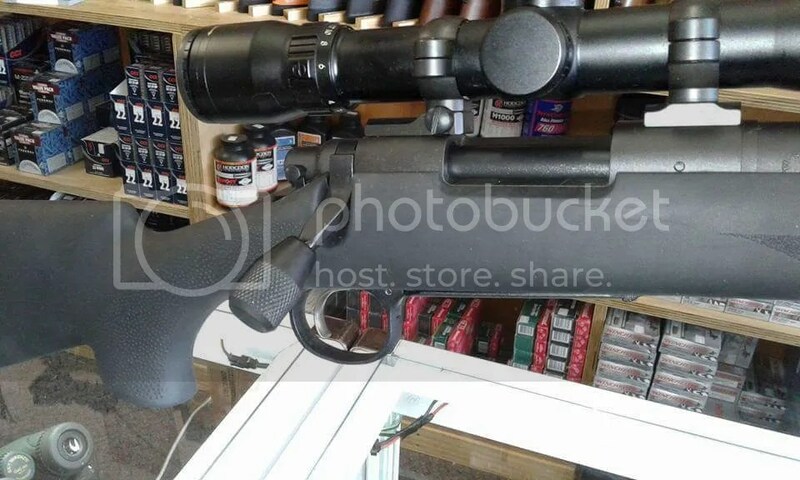 Had a new bolt knob fitted so i can reef that bad boy without hitting the scope with my michael moore fingers. Here in Australia owning semi autos or anything ‘interesting’ is very hard and requires a lot of money and permission from the State. Unless one finds themselves in the prolific under belly markets. In any case we have a very active bolt rifle culture. I am fond of the war time shooters. I have collected a few over the years. The only issue is this. Most ranges here do not allow big bore rifles. It is very hard to find a property that will allow you to shoot them. As you have to plan it well in advance, know the people and basically spend a weekend out bush. Those ranges that do allow you to shoot the big bore rifles (by big bore I mean anything over .22 or .223) keep unusual and inconsistent hours. I miss living on a farm when one could shoot whenever they pleased. I also miss the 90s when a teenager could buy a BB gun from a magazine, own an air rifle without needing a license and when people could own semi autos and no one viewed them as evil spree killers. I loved the L1A1 British adaption of the Belgian FN FAL. It was my service rifle when I was in Army cadets. Though I was 13 when I first hauled it I loved it. I preferred it to the F88 Steyr that we were issued some years later when I enlisted into the regulars. As for bolt rifles, I love the SMLE Mk III. The Australian Lithgow works made these up until the 1950s and these stayed as the service rifle for our military until then. It just seemed better engineered than the British No.4 which they replaced their Mk IIIs with. Plus the 10 round magazine, smooth bolt. It is just a treat. I have an Austrian built Kar 98k. Manufactured for the Luftwaffe in 1942. This is a handsome rifle. The bolt is noticeably stiffer than the SMLE’s but the furniture and build quality is incredible. I would love to tinker with an M14 and M1. Would be interesting to contrast it to the L1A1 as well as to see how the M14 compares to the Italian BM59. I have the Mosin-Nagant 91/30. I love how cheap it is and how well it shoots. The bolt action on mine is really smooth. I cannot get the tight groupings like you have on your Remington, but that is only because I like shooting with iron sights. 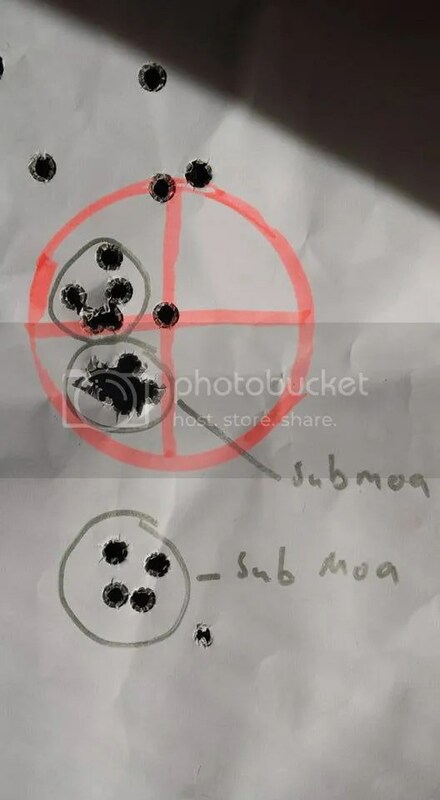 I have seen people modify their Mosins to add scopes, and they can get tight groupings at range. Nice! Yeh i briefly had an SVD that fired the 54r. Over here a nagant will cost about $500. You can pick up an sks for $250 but they’re norinco. Ive only ever heard good things about nagants. I briefly owned a 7.62×39 saiga…. Trigger is terrible. Be better off throwing the bullets at the target.